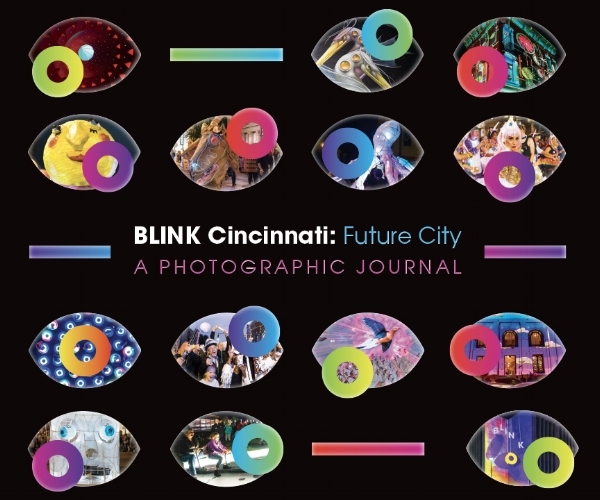 The official BLINK commemorative book features nearly 60 pages of vibrant photographs which capture memories from the unique art and light event that elevated Cincinnati on the international map as an innovative, inclusive and creative future city. The BLINK photo journal remarkably recreates the unapologetic pride, unmistakable vibe and shared moment of art that Cincinnati experienced for four nights in October 2017. The limited-edition printing is $29.99 and will be available mid-December. The high-quality, soft-cover book features nearly 60 pages of vibrant BLINK images captured by photographers Phillip Armstrong, Brendan Burkett, Casey Burns, Brian Douglas, Mackenzie Frank and Ross Van Pelt.